The Director of the Office of Lawyers Professional Responsibility has filed a petition for disciplinary action alleging that respondent David Lawrence McCormick committed professional misconduct warranting public discipline. The petition alleges that respondent agreed to file an appeal on behalf of a client and advised the client that it was not necessary to comply with the terms of the client�s criminal probation while the appeal was pending. Respondent failed to properly file the appeal, and as a result, the appeal was dismissed. Relying on respondent�s advice, the client did not respond to his probation officer�s attempts to contact him, and the client was sentenced to jail time and fined as a result. Additionally, respondent failed to respond to the client�s efforts to contact him and failed to cooperate with the Director�s investigation of the client�s complaint against him. This conduct violated Rules 1.3, 1.4, 8.1(b), 8.4(c), and 8.4(d) of the Minnesota Rules of Professional Conduct and Rule 25 of the Rules on Lawyers Professional Responsibility (RLPR). Respondent admits his conduct violated the Rules of Professional Conduct and the Rules on Lawyers Professional Responsibility and waives his rights under Rule 14, RLPR. 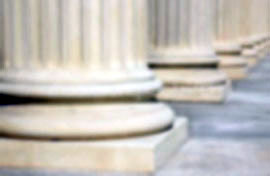 On March 7, 2006, we suspended respondent for a minimum of 90 days in connection with neglect of other client matters and conditioned reinstatement on complying with the petition and hearing process of Rule 18(a) � (d), RLPR. In re McCormick, 710 N.W.2d 563, 563 (Minn. 2006). Respondent has entered into a stipulation with the Director in which they jointly recommend that the appropriate discipline for the violations admitted as part of this disciplinary petition is an extension of respondent�s current suspension so that respondent may not petition for reinstatement for 30 days after the date of filing of this order. 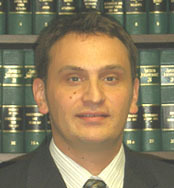 The court has independently reviewed the file. The Director has informed us that as of May 2, 2006, respondent had not complied with Rule 26, RLPR (requiring that respondent provide the Director with proof that respondent has given notice of his suspension to clients, opposing counsel, and tribunals). We therefore extend respondent�s current suspension indefinitely and allow respondent to petition for reinstatement no sooner than 30 days from the date of filing of this order, but condition reinstatement upon compliance with our earlier order, as set forth below. (a)	The reinstatement hearing provided for in Rule 18, RLPR, is not waived. (b)	Respondent shall comply with Rule 26, RLPR (requiring notice of suspension to clients, opposing counsel, and tribunals), and shall provide proof of compliance to the Director as required by Rule 26. (c)	Reinstatement to active practice shall be contingent upon respondent�s successful completion of the professional responsibility portion of the bar examination and satisfaction of all continuing legal education requirements under Rule 18(e), RLPR. (d)	Following reinstatement, respondent shall be subject to supervised probation for a period of two years as set forth in our March 7, 2006, order. (e)	Paragraphs a, b, c, d, e, and i of our March 7, 2006, order (requiring respondent to cooperate with the Director�s office, to abide by the Minnesota Rules of Professional Conduct, to be supervised by another attorney and to cooperate with that attorney�s supervision, to institute office procedures, and to pay 0 in costs) continue to apply. Respondent shall pay an additional 0 in costs under Rule 24(d), RLPR, and shall pay restitution to the client referenced above in the amount of the fine and any court costs imposed on the client by the district court.